Scandalous Women is pleased to welcome historical romance author Cara Elliott to the blog, talking about Lord Byron's daughter Ada, Countess of Lovelace. Cara is the author of the fabulous book To Sin with a Scoundrel from Grand Central Publishing which came out this month. There is something about women who dare to be different that has always appealed to me, even as a child. Maybe it’s because I tended to be a tomboy and was often scolded to “act more like a normal young lady!” when I wanted to do things like catch frogs and throw a football rather than play with dolls. (To her credit, my mother was not one of those voices. She always encouraged my enthusiasms—whether they involved cutting out cardboard swords and crowns, or making bow and arrows—for which I am profoundly grateful.) In any case, I never understood why being a girl should limit what I could do . . . so I guess it’s no surprise that I tend to write offbeat heroines in my historical romances—women who dare to defy the conventions of their era. As a result, some people have scolded me for not creating “real” Regency ladies. Which makes me wonder whether they have really read anything about the real-life women of the time. For the more I research the Regency era, the more I discover what fascinating and adventurous women lived during the era. In every discipline—science, literature, art and music, to name just a few—there were many individuals who had the courage to defy the strictures of Society and risk censure in order to explore their passions. In my new “Circle of Sin” trilogy (To Sin With A Scoundrel made its debut this month) my heroines are lady scientists, and when asked if there are any historical figures who were the inspiration for them, I always put the Countess of Lovelace at the top of the list. At age 17, Ada met Mary Somerville, the leading female scientist of the times, who also encouraged her to study seriously. (Somerville College at Oxford is named after Mary.) 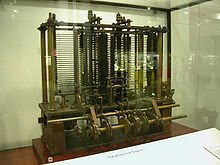 It was through Somerville that she came to be introduced to other scientific intellectuals of the day, including Charles Babbage, the inventor of the Difference Engine and Analytical Engine, precursors of the modern computer. In 1835, she married William King—later the Earl of Lovelace—and bore him three children. But despite an active social whirl within the high circles of English society, she kept up her scientific studies, and soon was helping to support Babbage. They worked together on various mathematical problems, and Babbage called her “the Enchantress of Numbers.” (And as one online blog says, Ada also inherited her father's gift for words, for she succinctly summed up a complex mathematical concept by comparing Babbage's invention with the Jacquard loom: "The Analytical Engine ... weaves algebraic patterns, just as the Jacquard-loom weaves flowers and leaves.") Ada’s notes on calculating sequences of Bernoulli numbers on the Babbage’s machine is credited with being the first computer program. Today, the U. S. Department of Defense has named one of its programs ADA in her honor. Unfortunately, she became addicted to opium and alcohol, then turned to gambling on horses . . . sadly her proficiency in discerning patterns in numbers did not carry over to living creatures. Like her father she died young, succumbing to uterine cancer at age 36. In its obituary, the London Examiner wrote that: "(despite) an understanding thoroughly masculine in solidity, grasp and firmness, Lady Lovelace had all the delicacies of the most refined female character . . . Her manners, her tastes, her accomplishments, were feminine in the nicest sense of the word; and the superficial observer would never have divined the strength and knowledge that lay hidden under the womanly graces." Thank goodness “strength and knowledge” are—by most sensible people—no longer considered un-womanly graces. And we have brilliant women like Ada to thank for that. So let’s raise a toast to courage and commitment of “scandalous women” from the past. They are wonderful role models for us all. Thanks Cara. You can find more about Cara Elliott at her website: www.caraelliott.com or over at the Word Wenches, one of my favorite blogs. In honor of Ada, Countess of Lovelace day and also to celebrate the release of the first book in the trilogy To Sin as a Scoundrel, I'm giving away a copy to one lucky winner. Just leave a comment and your name will be entered. NOTE: This giveaway is only for US residents. As a biologist, it's always fascinating to hear about the women who came before me in the fields of science. Thank you for introducing the Countess of Lovelace! It's sad that she died so young, but she seemed to have a colourful and interesting life. Thanks Cara for the marvelous post. What always amazes me is how much more unlikely real life is than fiction. What an intriguing glimpse into the past this is! Thank you.